The new Raymond Weil maestro Chrono, with its delicate forms and chic aesthetics, projects itself to its demanding owners as an ideal timepiece, appealing not only to the elite, but to every connoisseur, who recognizes the value of work well done, by the Master Watchmaker. 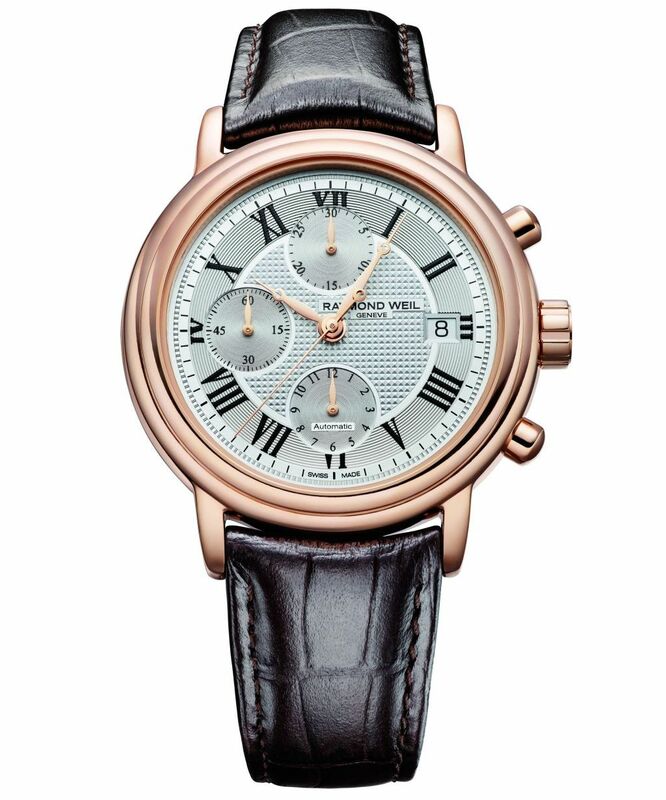 Equipped with a 41.5mm case, the color of rose gold like the sun setting on the infinite line of the horizon, recalling eternity, the maestro Chrono appears timeless.Other features include silver dial, ‘clou de Paris’ embellishment and rose gold tinted hands for the display of seconds, minutes and hours. Square date window at 3 o’clock.